Soon after I arrived to Leipzig I began to notice something mysterious popping up in the markets and the locals going absolutely crazy over it. Spargel! 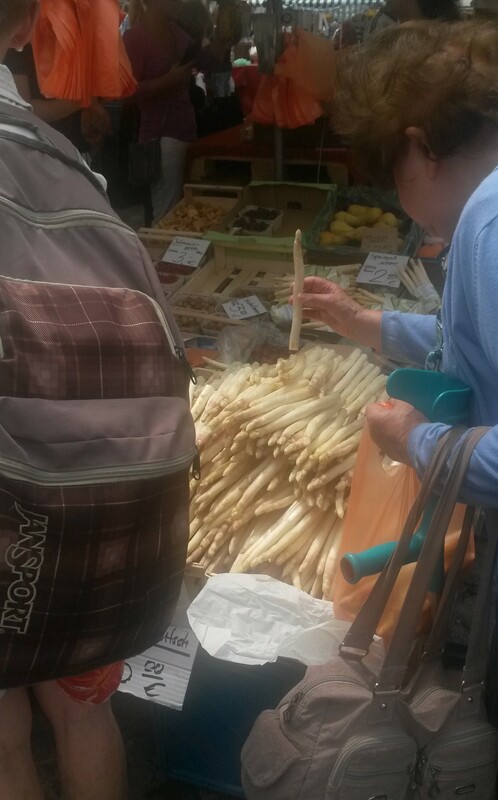 Everywhere I would look – Spargel! What is it? You’ve probably seen it before. It’s the thick white asparagus that you find in the supermarkets in America and think to yourself, “who buys this overpriced specialty vegetable?” Answer: the Germans. 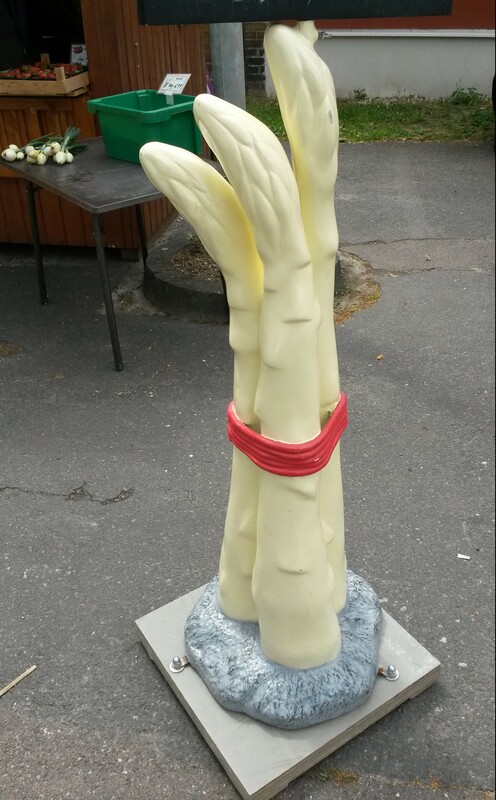 They even had a spargel statue! 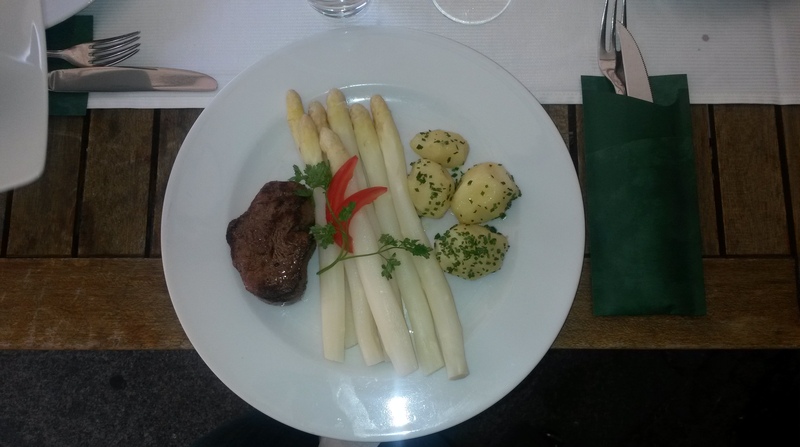 I decided I had to give this local delicacy a try, so I found a restaurant that was offering a whole spargel feature menu! I didn’t even have to look hard; just about every restaurant in town has something similar. The spargel really did take center stage. My review: it tasted like overpriced asparagus, but at least it was fresh, local, and slathered in butter! (Not pictured: the butter filled gravy boat) Mmmmmm! 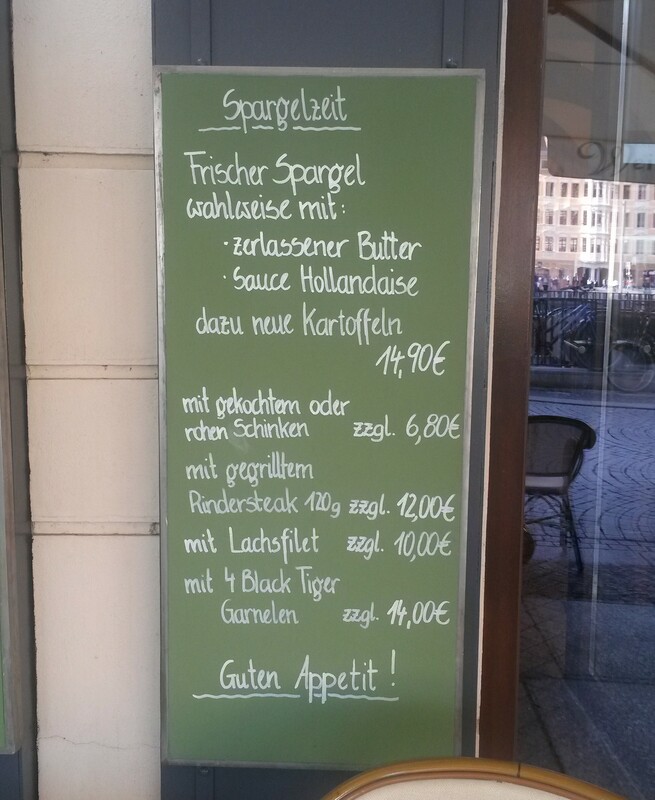 I hope you enjoyed reading my new section about Leipzig Living! Stay tuned for more! Personally I like green asparagus better, even though it is cheaper…but the right way to eat it is in either case is with potatoes, scrambled egg and bacon. Agreed! The green asparagus is just as good. I just didn’t see what the fuss was all about! I felt like people were pushing each other in the markets to try to get to it. It tastes just like the green (maybe a touch softer), but was soooo much more expensive. It’s an acquired taste…and tradition. Plus, you only get it for a decent price for a short time.